Run your hand along the hull in order to feel for bumps, blistering, or cracking. Especially just below the waterline. Check the outdrive for corrosion, which is a sure sign of a lack of other maintenance. A professional marine surveyor will answer your questions and should eliminate a lot of your concerns. If you're not planning to hire a marine surveyor, consider this a quick checklist for how to perform your own self-inspection. 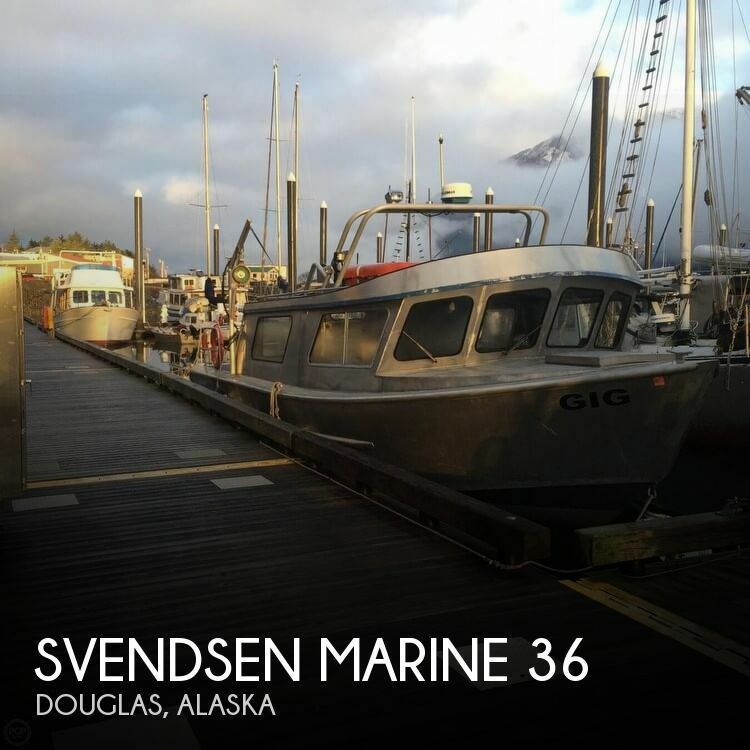 You have found what you think is your next boat, so off to the marina or boatyard to see her in person. While observing the boat in person, why not take it a step further than just a casual visual inspection? Below are some tips to take that casual observation to a more advanced self-inspection. 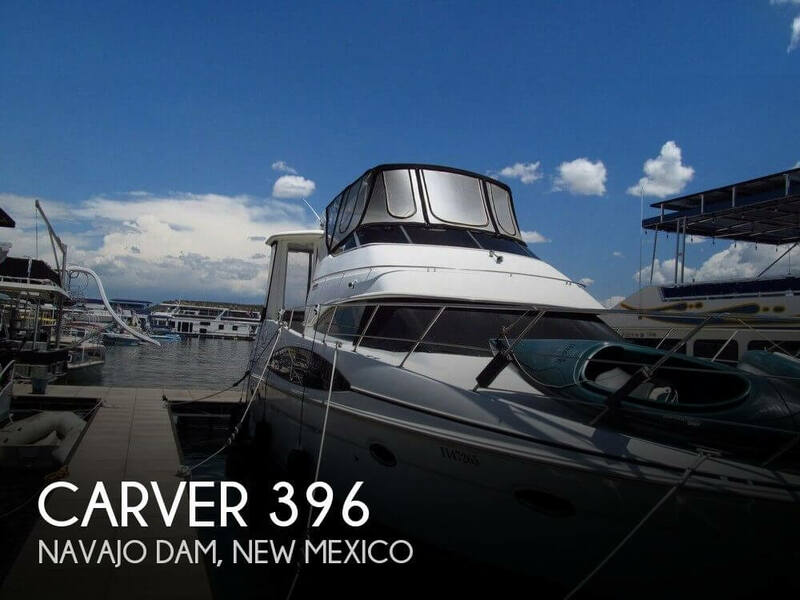 This will allow you to be sure you want to move forward to the next step in your boat buying process. The topics below are in no way all-inclusive of areas to inspect. If the boat is already out of the water, check the Hull below the waterline for any signs of blistering or cracking. Just run your hand along the bottom of the boat. If you feel any "bumps", the hull most likely has water saturation between the inside and outside skin of the hull. This could be very critical and sometimes nothing to worry about but, if you see any signs of hairline cracks or larger cracks, it is time to call a professional to further advise you. The cracks felt and seen are most likely related to moisture in the hull. The pressure of the water saturated fiberglass laminate causes the outer skin to split and crack open. Weeping moisture is a sure sign of potential internal damage requiring a more expert inspection. Another result of moisture in the hull below the waterline is Osmotic Blistering. Believe it or not, fiberglass is fairly porous and, without proper protection in the form of a barrier coating, moisture will try to penetrate through the laminate seeking out any voids or air pockets in the various layers of fiberglass laminate. This is a result of the displacement pressure of the boat sitting in the water year round or most of the year anyway. Osmotic Blisters vary in size from approximately one inch to over three inches in diameter. Once the outer skin is compromised, this allows water to penetrate behind the outer skin resulting in more moisture damage to the hull. 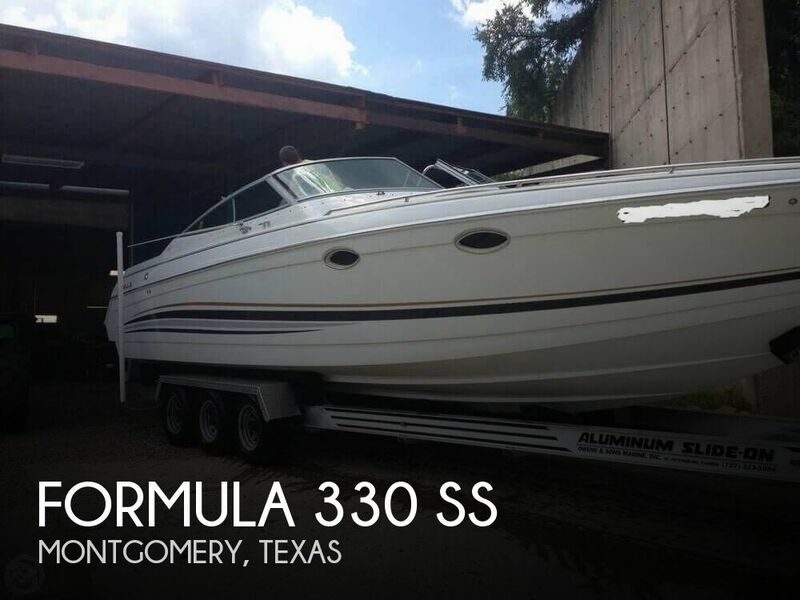 Over an extended period of time, this moisture adds significant weight to the boat. Large blisters (several inches in diameter and larger) can cause structural damage to the inner layers of fiberglass laminate resulting in a hefty yard bill for the repairs. Anodes (sometimes referred to as Zincs) are located below the waterline. These sacrificial Anodes are in place to control the corrosion of metal surfaces such as propeller shafts, sea strainers, rudders, propellers and other dissimilar metals found on most boats. The sacrificial metal then corrodes instead of the protected metal. In order to properly protect all of the dissimilar metal components inside the Hull of the boat, bonding wires run from each metal component, thru the Hull fittings, sea strainers and other metal components inside the boat to the interior side of the Anode. This bonding of all of the metal components allows a path for the galvanic current to flow from the dissimilar metals to the Anode outside of the Hull. The Anode will then absorb that galvanic current "sacrificing" the Zinc (or other material) that makes up the Anode while protecting the stainless steel, bronze and other metal components that are critical to the safe operation of a boat. You can observe the Anodes when the boat is out of the water by checking the condition of this corroded metal. The more corrosion observed, the sooner the Anode should be replaced. 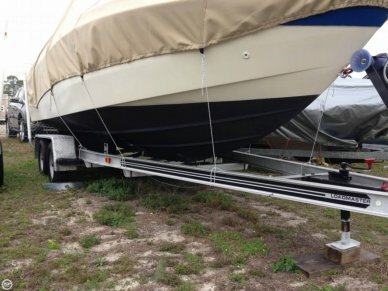 The only way to know if the boat is equipped with the correct amount of Anodes is to hire a professional marine surveyor to test the bonding system on the boat to determine the adequate number of Anodes. Thru Hull fittings allow water to pass from outside the boat to the inside of the boat via valves and hoses to permit operation of things like the Marine Head (Toilet), Air Conditioning, Wash Down Pumps, etc. Visually observe these fittings for any signs of marine growth that may clog up the inside of the Thru Hull, restricting water flow. Failure to keep these Thru Hull fittings clean can restrict the right amount of water to flow to the device it is serving, and can result in equipment or system failures on the boat. Take a close look at the opening in the Hull where the Propeller Shaft(s) go inside the boat, connecting to the Transmission and Engine. The Shaft should sit in the center of the opening - not laying to one side or the other of the opening. The Rudder(s) steer the boat while underway, they should be straight not bent. Another costly yard bill is when the Rudder is damaged. The green electrical wires you find on a boat are the Bonding wires. These are the wires, typically a number 6 or 8 in size, allowing the galvanic current to flow through to the Anode(s). If any of the Bonding wires are broken then the path to the Anode is broken and galvanic protection will no longer occur. It is always a good idea to check the condition of the rubber hoses inside the boat. Should one fail, a very bad situation could occur. Observe the hoses for signs of splitting, cracking and check the hose clamps for signs of corrosion. A corroded Hose Clamp can allow water to come inside the boat as well. Observe the routing of the hose for any chafing or rubbing against objects that may fatigue the hose, potentially causing a catastrophic failure. If the boat you are looking at has Inboard/Outboard engines, also known as Stern Drives, a careful look for corrosion is warranted. There are many moving parts both internally and externally for these Drives. Corrosion due to lack of maintenance is a big item. 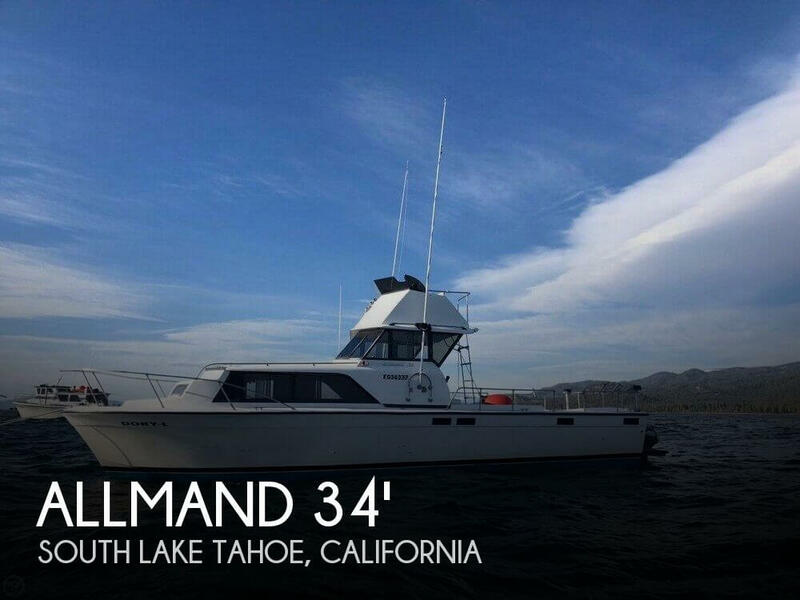 Here are a few tips on what to look for when checking out a Sailboat. One of the most important things to observe is the Standing Rigging (the wires that support the mast holding it in place at the proper tension). Most wire rigging is Stainless Steel wire; did you know that Stainless Steel can corrode when starved of oxygen? Take a look at where the wire connects to the Terminal fitting securing it to the boat as this is where water will pond and corrode the end of the Stainless wire which can result in a failure of the wire and ultimately the loss of your mast. Observe the deck of the boat for any spongy feeling, if the deck compresses from the weight of you walking on it, it could indicate the core material of the deck is water saturated and has fatigued the balsa or marine plywood core material that provides strength for the deck. Lack of maintenance resulting in fatigued bedding compound around the Chain Plate where it passes through the deck to the interior Bulkhead, is the source of the water incursion. Wet core material as a result of fatigued bedding compound compromises the Chain Plate allowing it to pull away from the interior Bulkhead inside the Cabin and through the deck. 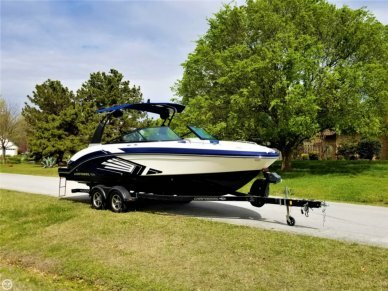 The examples above are just a few areas to check when you are inspecting a boat you think is in great shape and that fits your boating style. 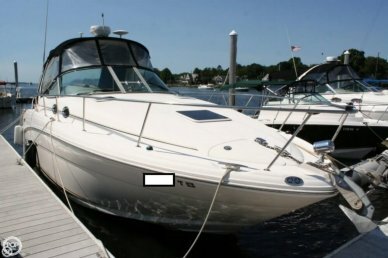 As you can see, there are many external signs that should alert you to issues with any boat. 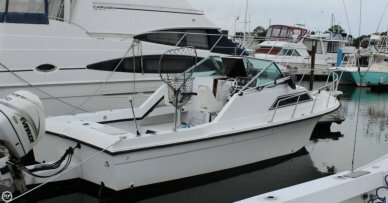 If this boat is the one you really want, think of these deficiencies as negotiating tools to lower your asking price. Or consider them signs that you should walk away and continue your search. The topics above represent just a fraction of the areas to inspect when deciding on your next boat. 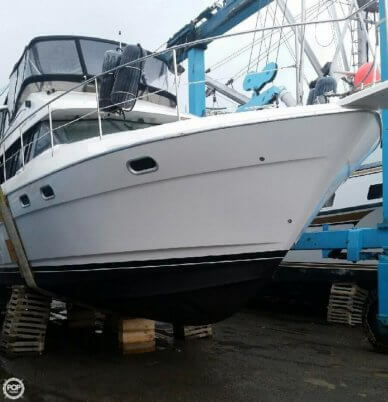 To be on the safe side, you should always consider hiring a professional marine surveyor to guide you and assist you with your boat inspection.